Where is the best place you've seen fireworks on the 4th? Where Is The Best Place You’ve Seen Fireworks On The 4th? With this past weekend being the 4th of the July, we know many of you were on the road traveling to see family, friends and other places of interest to watch the fireworks. At Driver Solutions, we love to learn about the different places people are traveling as it's a very relevant aspect to truck driving with one of the greatest perks to a trucking career is the ability to travel the open road. 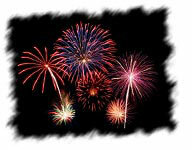 This month (July) we want to know - Where Is The Best Place You've Seen Fireworks On The 4th of July? We will be giving away a Visa Gift Card to one lucky person that responds to this question on the Driver Solutions Facebook page. If you have a picture to share on our Facebook page from the 4th of July, we will enter your into our drawing 2 times. We will select the winner on July 31st.